Deliver years of lasting comfort and service on this beautiful riser recliner chair. 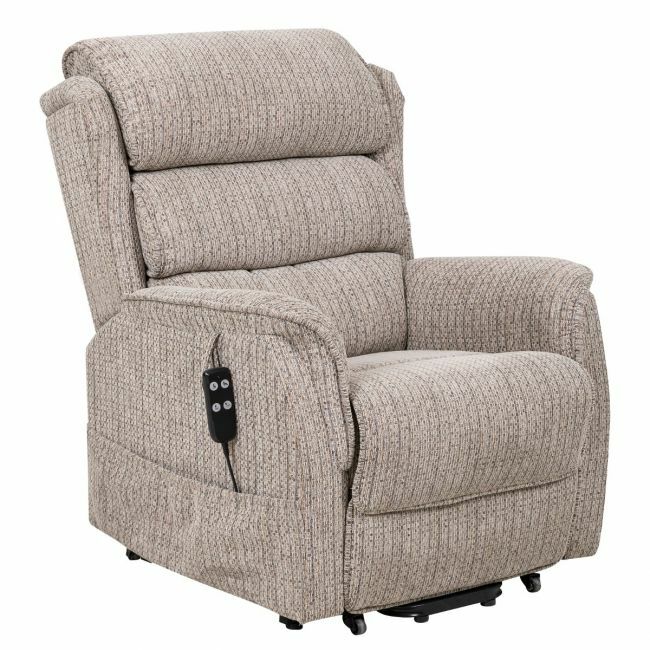 The Sandringham dual motor riser recliner chair is a well proportioned and comfortable armchair with easy to use controls. It features a luxurious waterfall back design and a padded head cushion for a comfortable and supported rest.